Banff has a thriving arts and culture scene. There are a number of museums and art galleries to explore, not to mention concert venues at The Banff Centre. If you’re a busker, you can find out how to get a street performing permit to show your talents to the world. Skip the line at the gates to Banff National Park by buying your park pass online. This service is provided by Banff Lake Louise Tourism. Like any other community, we might have a construction project happening when you visit. Learn about Town of Banff major projects, scheduled road closures in the Town of Banff, or Parks Canada construction projects. If it’s happening in Banff, it’s in our events calendar. Find out what special events are happening when you’re coming to town. If you’re driving to Banff, you’ll want to get a map of downtown parking locations. You should also check out our mobile site, Banffparking.ca for tips on where to park and the Traffic Dashboard for parking availability, traffic cameras and current travel times. How far away are you? It doesn't matter. Whether you’re coming from Calgary or Tokyo, we’ll help you find your way here. We’re proud of our history and heritage in the Town of Banff. Take a trip off the beaten path and learn a little bit about the founders of this community, and walk by some of the historic homes and places that still exist in town. Looking for a good deal on a hotel? Places to shop? How about a list of restaurants in Banff? Check out Banff Lake Louise Tourism to help you plan your trip. Download a copy of our Visitor Map (PDF) or take a look at some of our other Frequently Requested Maps. Unplug from the world and head to one of our spectacular parks. Bring a picnic to Central Park or head to the Recreation Grounds to play everything from tennis to soccer. You really don't need a car when visiting Banff. Almost everything is within walking distance, or you can take our Roam Public Transit service. Local and regional routes are available, and GPS technology lets you plan exactly when your bus is arriving. 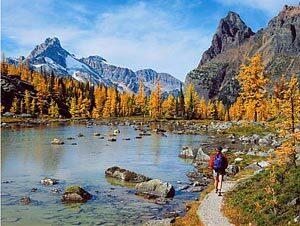 In the summer of 2018, you can also explore popular places in the national park with transit provided by Parks Canada. Summer is an amazing time to visit Banff. 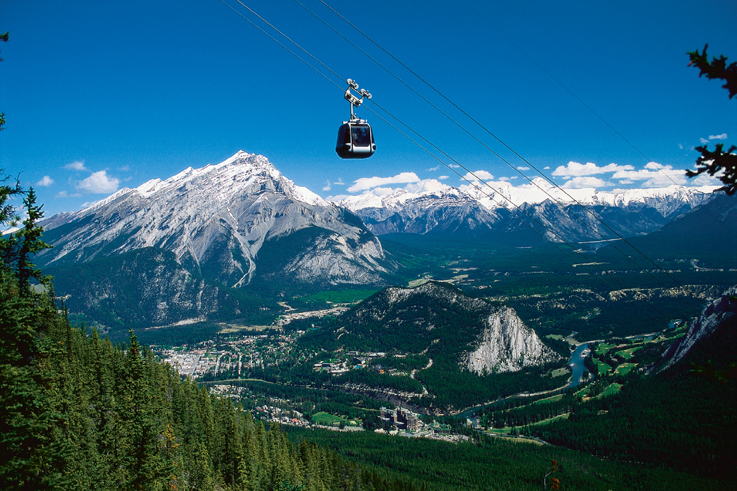 From hiking, biking and camping to mountain climbing, gondola rides and fishing, Banff has something for everyone. Follow these top 10 tips and local favourites to get the most out of your trip. These are just a few of the things locals love to do in Banff National Park. You can walk to almost everything in Banff. The town is just 3.94 sq. kilometres, so most things are within a 10 minute walk. For everything further away, there's public transit. Find out more about Getting Around in Banff. The weather in Banff can be unpredictable. Make sure you know if you need shorts or snow pants (or both) for your trip. Find all the webcams in Banff in one place on our snow tour map on Banffmaps.ca. Skiing, snowboarding, snowshoeing, ice skating… we could go on. It’s time to experience everything this winter paradise has to offer.